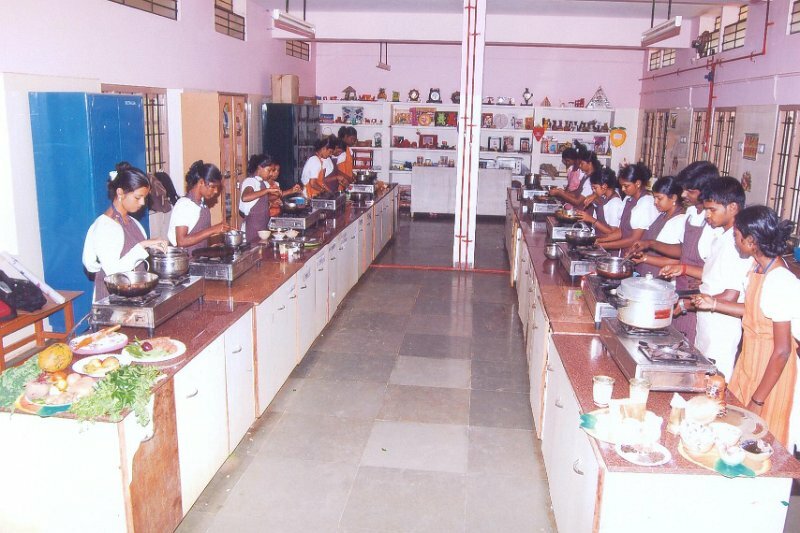 The Department of Nutrition and Dietetics was kick – started in the year 2000 with the aim of training students with the capability in the field of Health and Food industry. It bloomed into Post Graduate department with M. Sc., Food Service Management and Dietetics in 2003 and the M. Phil., Food Service Management and Dietetics program was established in 2007. The growth of this department is an exciting in inspiring one with many hall marks of academic excellence in teaching, research and community reach programs. Nutrition & Dietetics plays a pivotal role in the field of health and fitness. The science of nutrition is dedicated to learning about foods that the human body requires at different stages of life in order to meet the nutritional needs for proper growth, as well as to maintain health and prevent diseases. A Bachelor’s degree in Nutrition & Dietetics offers an indepth knowledge and understanding of the nature and composition of foods and its relationship to good health. Hospitals, health and beauty centers, hotels, food service organizations etc., seek advice and services of trained nutritionist and dieticians. 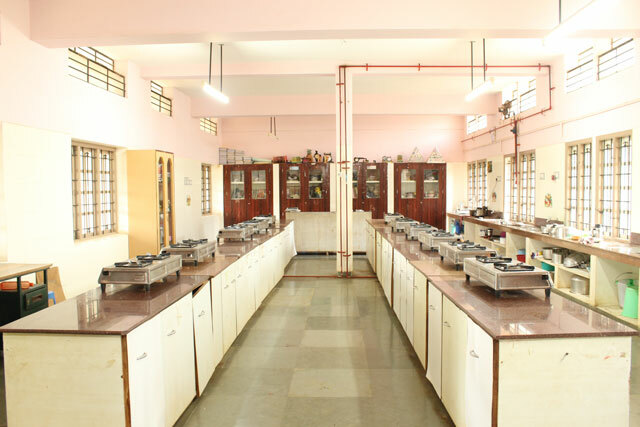 Well established lab with equipment enables student to prepare diet plan for various diseases and to give dietary guidance and counselling for the patients. ¤ Nutritional assessment for various age group done. ¤ To identify nutrition and dietary problems in segments of populations. ¤ To devise socially, economically and technologically viable methods to control nutrition and dietary problems in the country. ¤ To devise newer management and administration techniques to monitor nutrition and dietetics. ¤ To encourage research on nutrition and develop future scientists for the country. ¤ To advise governments and health bodies on issues related with nutrition.